Dream home - right on the ocean! For golfers and recreation seekers paradise !!! Treat yourself to something "special". Experience "nor" spared the mass tourism "Gulf Coast" about 100 km south of Durban. Here you will find within 65 km 10 featured 18 hole courses, each more beautiful than the other. Enjoy the prodigal, subtropical vegetation, as well as the beautiful places on some views of the Indian Ocean. Parenthetically, the South Coast courts, in contrast to the golf courses on the Cape, are relatively inexpensive. The same applies to restaurants, club houses and other services. Guests are welcome everywhere. It goes without saying that stand for beginners as well as advanced driving ranges and golf instructor. The complex consists of 8 apartments. A covered parking belongs to the apartment to do so. For gated, secured with shark nets, beach is about 150 m.
Things to next Golf: go for hours along the beach front of the house, watch whales or dolphins, fishing, diving, exploring a trip to Durban Oribi Gorge, play tennis. 3 ½ hours are. To Umfolozi / Hluhluwe Game Park. There you'll see the same animals as in the Kruger National Park, only it is not there at all touristy. A rental car is therefore essential. For the period of your stay we put a GPS available. If you wish to travel with more than one person, the neighbor's apartment for another 6 persons are rented. A weekly cleaning is included in the rent. 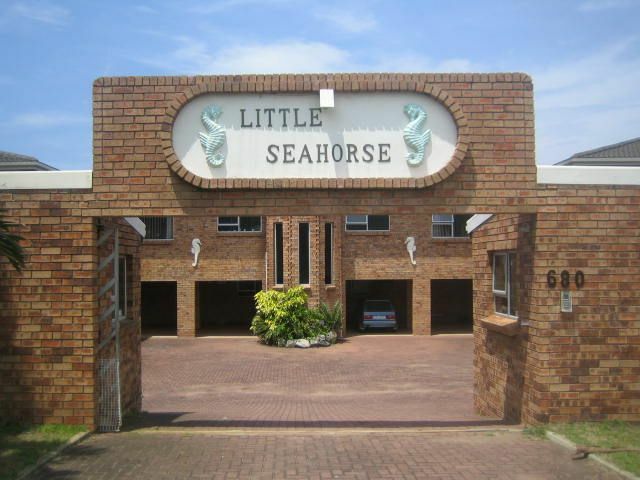 We had a lovely stay in Little Seahorse this December, and will definitely be staying there again in future. Great value for money and Petra & Freddy are wonderful people. Thanks so much, see you soon ! Freddy und seine Frau haben uns durch umfassende Infos über ihre Traumwohnung gut vorbereitet und alles in einem Hefter niedergeschrieben, den wir in der Wohnung vorfanden. Die Wohnung war sehr sauber und ist sehr geschmackvoll und komplett eingerichtet. Insbesondere die Küche ließ keine Wünsche offen. Wir verbrachten 9 Tage in Ruhe zur Erholung, ohne Radio oder TV zu benutzen. Durch den Hintereingang war man direkt am weitläufigen Strand und Einkaufen bei Spar konnte man zu Fuß. Die Anlage mit Parken ist vollständig abgeschlossen und zumindest durch ein Ehepaar ständig bewohnt.